November 5, 2015 by The Junkie 0 comments on "6 Best German TextBooks – Must-Have List for Beginners"
Know what I love about textbooks?! German textbooks gives you structure – a CLEAR path, from Page 1 to 200. It teaches you the grammar, writing, reading and everything that you won’t learn from reading articles online. I know you’ve read TOO many internet articles. So, let’s get to the books. Here’s my list of 6 best German textbooks for Beginners. All have links so click through to learn more about each book. All books have links so click on them to learn more at Amazon. Links are my Amazon affiliate links. 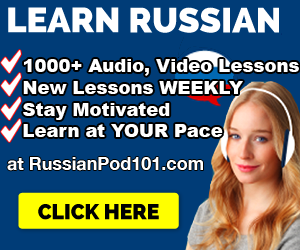 ✓ If you REALLY want to learn & speak German with a complete program: 1,000s+ of fun, easy audio/video lessons and courses by real teachers – Sign up free at GermanPod101 (click here)… I recommend ’em as a teacher & learner. I don’t recommend the Kindle version (ugly formatting) but this book is AMAZING for beginners. This book simplifies the tricky points of German – grammar, declensions, cases and more. As the title says, it’s BASIC so it’s perfect for Beginners. You learn everything – speaking, reading, writing, grammar and lots of words. It’s well structured and has exercises at the end of each chapter. At 304 pages and a bonus CD, it’s definitely a good place to start. The second best book. Easy. To the Point. Well organized. Has everything you’d need. This is the way a Beginner should learn German. Not only do you learn grammar, but you also learn so much vocabulary in a way that’s not overwhelming. In the first 10 sections alone, you learn 300 words. Each chapter also has dialogues that use the grammar and words you’ve just learned. Great starting point for beginners – 309 pages long. You get 3 coursebooks (288 pages in all) and 9 CDs with this big German language bundle. And likewise, this is split into 3 sections: Beginner, Intermediate, Advanced. The first few chapters start you off with the Basic (not overwhelming, so that’s good) words and phrases. Grammar is also evenly spread, again, so you’re not overwhelmed. Overall, good for grammar, vocab and reading. Very well designed and great reviews on Amazon too. Good if you want the whole package – Beginner to Advanced. Schools use this in their German classes… as you can tell by the ugly cover. Expect this to be somewhat academic. But, that’s not a bad thing. Great for anyone who is just starting to learn German. It takes you through the language teaching you how to talk with others. You also get easy assignments that you can do. Simple. Easy. Not intimidating. This will give you confidence to read and pronounce German – the CD is helpful. However, as you can tell by the title (Fast & Fun), this is not a SERIOUS German textbook and it’s not used in classes. 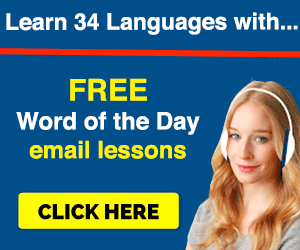 In 304 pages, you’ll learn grammar, vocab, culture and get exercises as well. Good for casual self learners or as a supplement; not for classes. I’d get it just for the extra German practice. The BEST book to learn German vocab. Typically, to learn words, you dig through a dictionary. Well, this is different. It’s 40 chapters and 448 pages long and it breaks down each chapter by theme – Eating, Clothing, Actions, Behaviors, Feelings, Instincts. However, be warned – building vocabulary is the book’s only goal. You won’t learn too much grammar here. But that’s what’s so great about it, it does what it promises – you learn more words and speak more German. 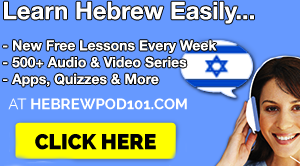 By the way, as you can see by the obvious banners I have above and below… I also recommend GermanPod101.com (click here) for their Audio and Video Lessons. Yes, it’s no textbook, but it just might be the best damn online course for speaking, listening and mastering German conversation. That site would be a perfect supplement with whatever German textbooks or dictionary you’re using. Check it out and decide on your own. Do you have any best German textbooks that you swear by and recommend? I’ll need to write about that. P.S. I highly recommend this for German learners. 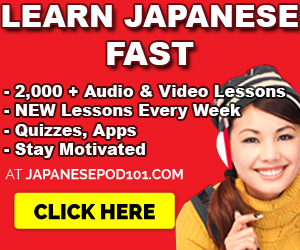 If you REALLY want to learn to German with effective Audio & Video lessons by real teachers – Sign up for free at GermanPod101 (click here) and start learning!